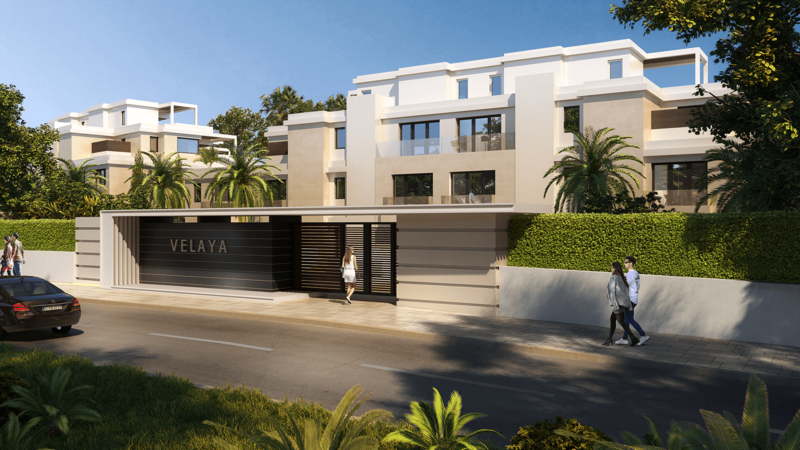 Velaya is an exclusive scheme designed for your ultimate enjoyment. 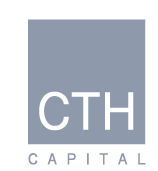 It is the home you have always dreamed of. 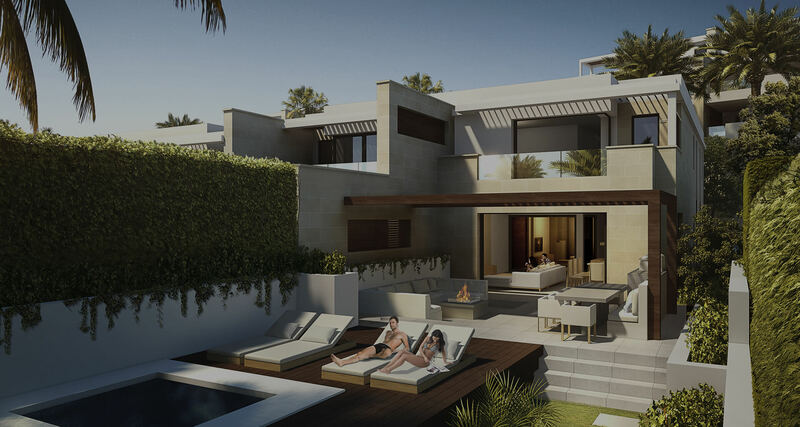 The project has been developed to meet all needs and for you to enjoy a beach-chic lifestyle, luxuriating in nature’s bounty, and finding the peace and quiet, and relaxation you are looking for. 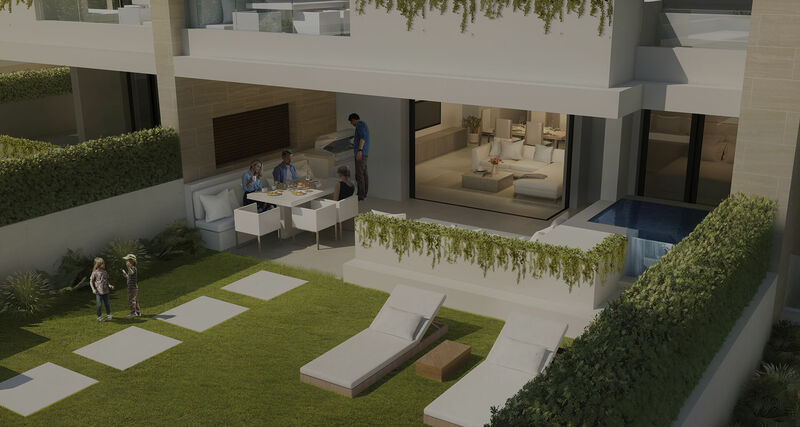 Velaya's 38 homes and facilities have been designed keeping your best interest at heart. 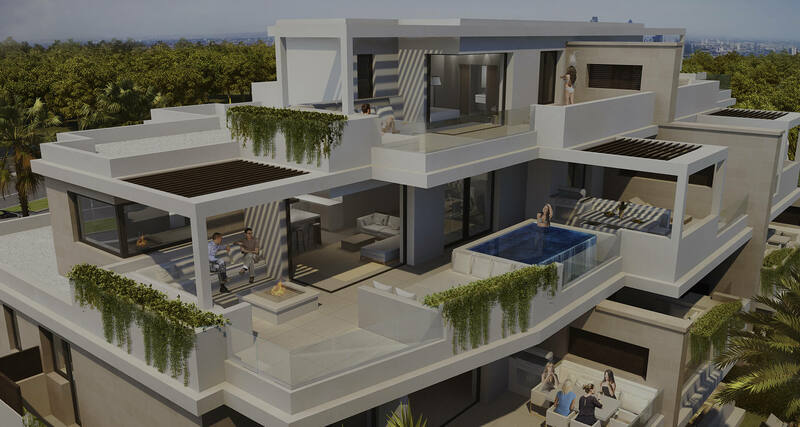 The residential offering stands out for the quality of its materials, exclusivity, architectural features and enviable beachfront location. 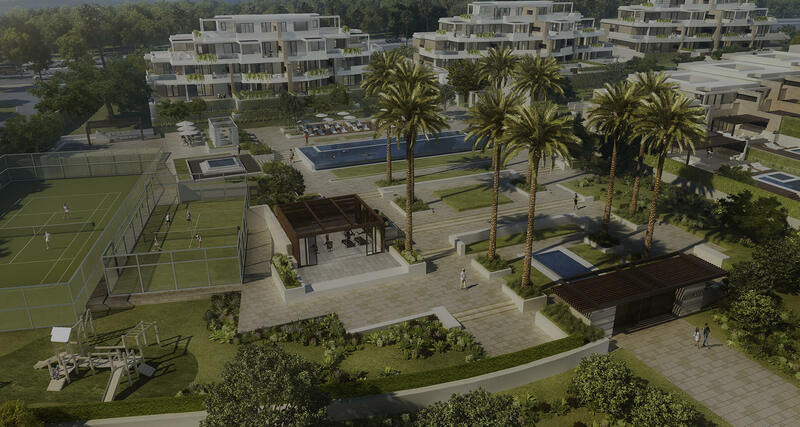 Open plan living apartments with 2-3 bedrooms and large terraces. They offer a roomy layout and afford stunning views. 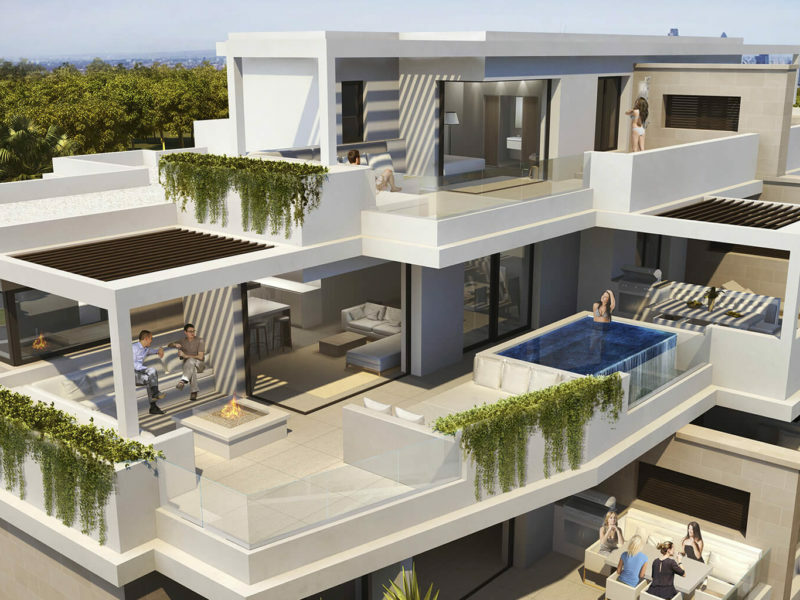 Duplex penthouses with 3-4 bedrooms and panoramic sea views. 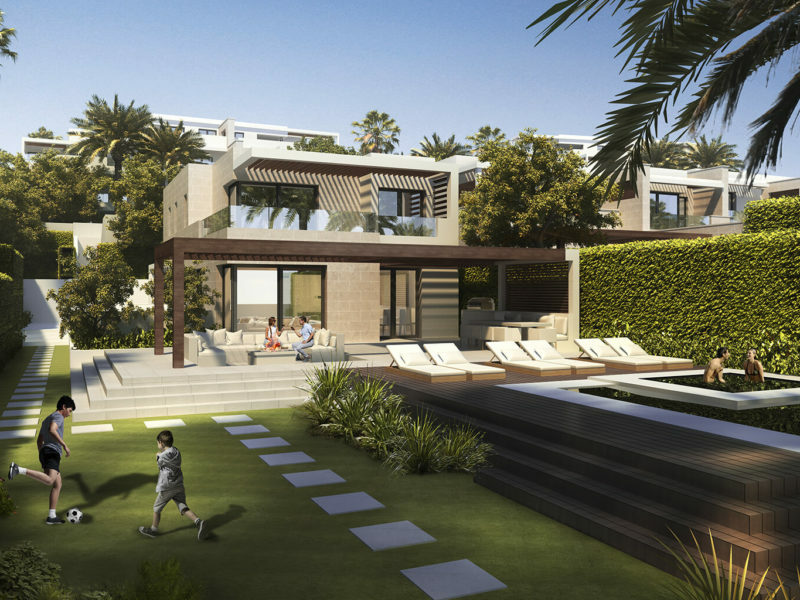 They are perfect to enjoy an oceanfront secondary residence with all the amenities and services within close vecinity. 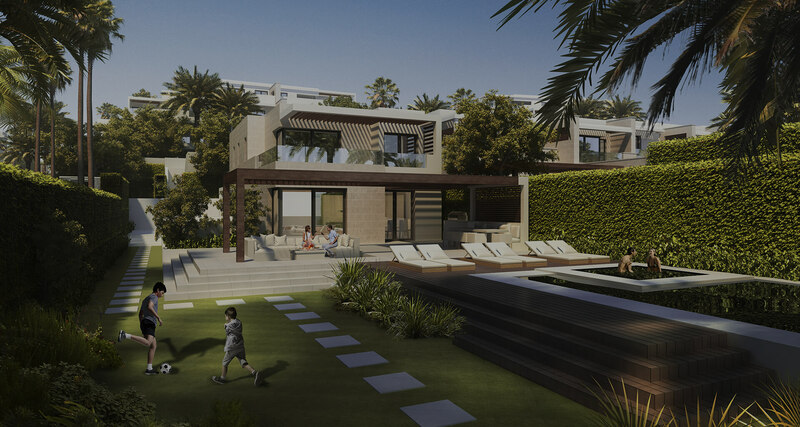 Frontline beach large sized villas with 4-5 bedrooms in private plots. 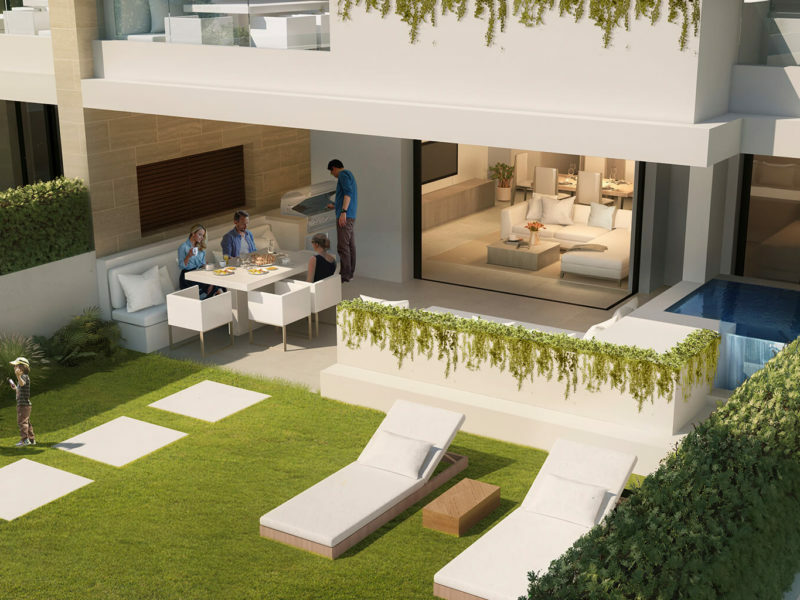 They offer generous-sized interior and exterior living spaces and are unbeatably located on the seafront. Triplex bungalows with 3-4 bedrooms and private gardens. Enviably located on the seafront, they offer direct access to the beach. 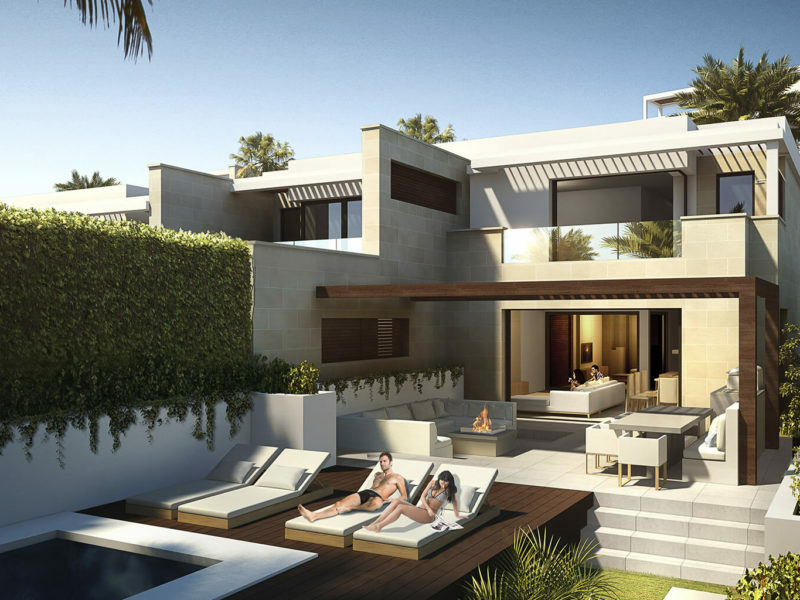 With an area of approximately 15,000 sq m, a novel residential concept, character features and all the facilities you need, Velaya is poised to become the most exclusive coastal development in Estepona. Velaya is a scheme designed down to fine detail for your ultimate relaxation and well-being. Take a plunge into the infinity pool, soak up the golden sun on a lounger or Bali-style day bed, de-stress by taking a dip in the hot tub, have a game of tennis or paddle tennis in the sports area, or hit the weights at the gym before treating yourself to a lavish meal at the barbecue area.  Get Velaya's brochure writing down your details.